Maria Luisa Flores, or Malou for short, is proof that hard work, good ethics, and kindness go a long way. A graduate of San Sebastian College of Recoletos, Bachelor of Science Tourism, she started in 1991 as a Roving Receptionist of Revér Salon Mandarin. 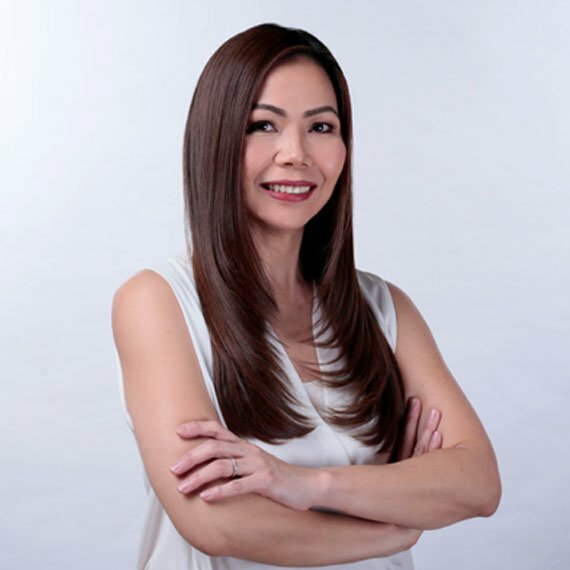 Working alongside Mr. David Charlton in handling the chic and elite Makati clientele and salon, she learned how to deal with clients and stylists with finesse and grace. She quickly rose through ranks and was promoted to Assistant Receptionist, and eventually became the Head Receptionist. When Charlton created David’s Salon, Malou was a natural choice to be part of the HR Department. She started as an HR Assistant at the Rever Training Center, and then was promoted to HR Manager of the David’s and Rever Training Center. David’s Salon requires a large workforce, and the Human Resources department is always on the lookout for fresh talent. But more than recruitment, HR also finds ways to develop the skills of every person in David’s Salon, while keeping their jobs fun and rewarding. Since she stepped up as the Vice President of HR in 2002, she has led the HR team to fulfill the manpower requirements and obligations of all David’s Salons. She also seeks out opportunities and partnerships with organizations, allowing David’s Salon to give back and reach out to communities in need. Always pleasantly smiling and with a good word for everyone, this poised lady leads the Human Resources with not just decades of experience, but also an eagerness to serve others. Having started from the bottom, she always has a heart for the welfare of all staff, and believes that with proper training and guidance, anyone can succeed in life.